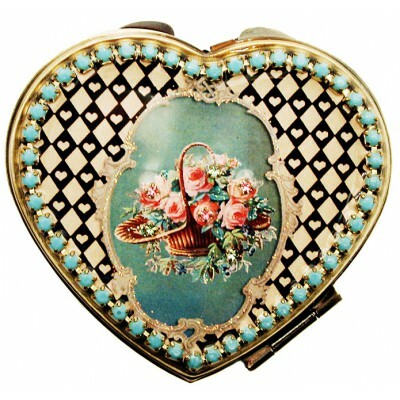 Michal Negrin Heart-shaped compact mirror. With an Antique Roses pattern, pink and green sparkling Swarovski crystals and matte turquoise beads. Includes one regular mirror and one magnifying mirror. 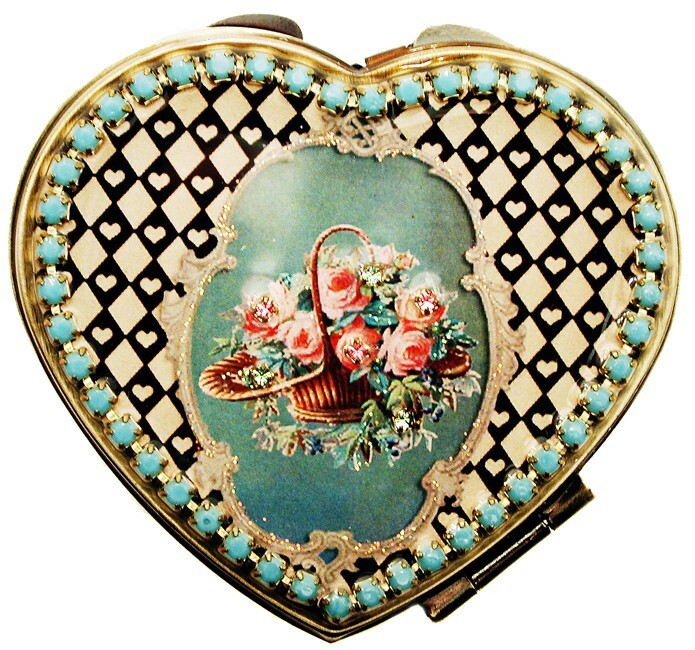 Measures 2 inches high and 2.3 inches wide at its widest.